Crunch time is the last few moments of a playoff game when teams have to step up and play their best in order to secure a victory. We learned to choose our battles a bit better. We should have allowed him to watch the end of the game as he didn’t get to sleep any quicker. Oh well! 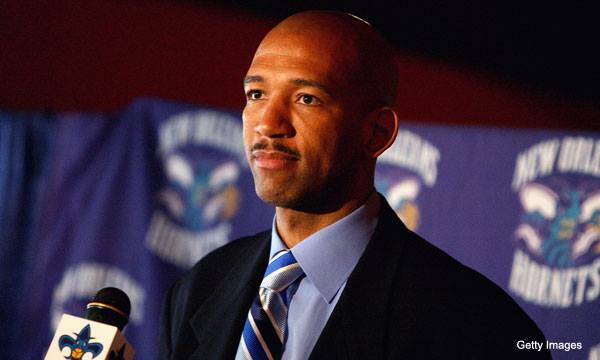 A professional basket ball player who understands the pressures of crunch time on and off the court is Monty Williams. Following a successful career as a player he was propelled into a coaching position. Now, as the Philadelphia 76’ers assistant coach Monty’s baseball career is still as important to him, however his relationship with God is even more important. Monty’s faith in God was instilled in him from his youth by his grandfather who was a committed Christian so he understands the value of being a mentor, in a down to earth way. Welcome to Philadelphia, Monty Williams! Throughout his career in sports Willimas has played for a variety of teams but beyond his playing career his personal life was blessed with a 26-year marriage to Ingrid and together they were blessed with five children. However life became challenging for Williams when in 2016 his wife was killed in a car wreck. He continues, “She was the greatest example of faith that I’ve ever been around because she was my best friend. It was what attracted me to Ingrid when I first met her. So to lose her to a senseless car accident was by far the toughest thing I’ve ever had to deal with and am still dealing with. That’s something that I’ll never be able to explain or rationalize. I just have to trust God that He’s going to get us through it all, and He has. Monty continues to be a leader ont only with his team but at home with his children aged 8-20, giving them fatherly leadership advising them that they must find a relationship with God and not depend on their dad’s relationship with God. He exemplifies what it means to be a winner as an athlete, a family man and in his walk with the Lord. Oh, what about “crunch time?” Monty understands that term not only from the game but, from his personal life as with the tragedy of losing his wife and being left a single dad of five. Yes, he understands how “crunch time” happens in our lives, sometimes more often than we care to know. Through it all, he is strengthened in his faith in God. Monty Williams joins the pod to discuss his first year as a 76ers assistant coach.